When using DiskPart command line disk partitioning utility, you may receive "DiskPart has encountered an error" error which is followed by various error messages such as access is denied, the parameter is incorrect, I/O device error, media is write protected, device not ready, cyclic redundancy check, etc. In this article, we will talk about 6 types of errors occurred to DiskPart as well as corresponding solutions. "Hey everyone, I had an old SanDisk memory card with 8GB capacity. I haven't used it for 2 years. I inserted it to my laptop and Windows said it is not formatted. I attempted to format it in File Explorer, but Windows was unable to format it. So I tried formatting it using DiskPart, but it encountered an error: access is denied. I check event log and got: ‘Failed to open device \\?\GLOBALROOT\Device\HarddiskVolume8. Error code: 5@020A0019 EventID 8' Anybody know how I can format the USB stick and remove the error?" Usually, if the device you want to clean or format is considered to be blocked (e.g. write-protected) or hasn't been authorized, the DiskPart command won't be able to complete properly. For example, you didn't log in computer as administrator, as some user account might be restricted to use Command Prompt even though you run it as Administrator. Since the error message prompts to see system event logs, you may as well check computer's logs for more information if you cannot find out what's causing the problem. Step 1 Click Start menu to open Control Panel where you can select "Administrative Tools". Note: the option will be available after changing "View by" to "Large icons" at the top right corner. 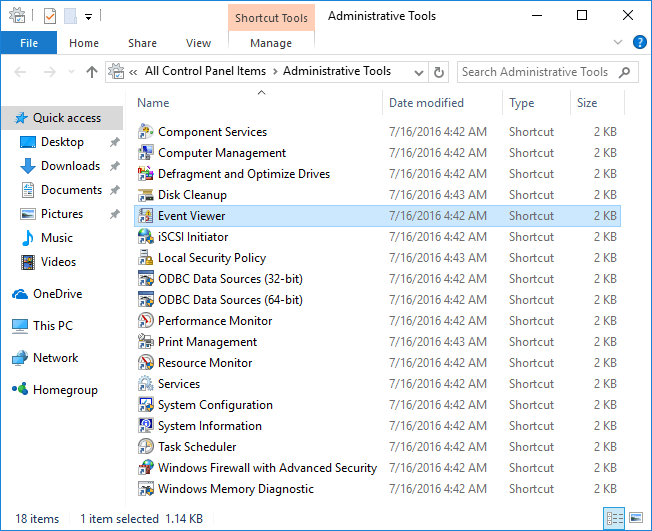 Step 2 Double-click shortcut "Event Viewer" in Administrative tools window. Step 3 Expand "Windows Logs" to locate "System". Step 1 Restart computer and log in Administrator account. Step 2 Click Start button, click All Programs and then select Accessories. Step 3 Right-click Command Prompt and select Run as administrator. Step 4 The UAC (User Account Control) dialog box comes up and you should provide permission or password to confirm the action. Step 5 Type and execute DiskPart command again and the "Access is denied" error won't appear. "Hi, I have a 8GB SONY USB flash drive and I want to repartition it using DiskPart, because the flash drive turned to 189MB for no reason. I tried to format it in Command Prompt but receive the error ‘DiskPart has encountered an error. The media is write protected. Sine the USB flash drive does not have a write-protect switch. Any ideas can help me remove write protection? " It is easy to lose access of what you have stored on drive, as there are changes that files are deleted by accident or get damaged by virus. Some mass storage device provides write-protection function to protect files and folders. However, some drive still can be set to read-only even though there is not a write-protection switch. Reasons behind write protection error vary from one to another, let's see possible causes together. The storage media is damaged by virus or malware and cannot work properly. The read-only switch is placed to ON side by accident and the media becomes un-writable. The disk is set to read-only in Property or Registry to prevent writing actions. The drive has physical damages, such as bad sectors. Step 1 Run Command Prompt as administrator, type in DiskPart and press Enter. To open Command prompt, press Win + R, type cmd in Run box and click OK. Step 2 Type "list disk" and press Enter. Then all disks on your computer will be listed. Step 3 Type in "select disk #" and press Enter key. You should replace # with the actual disk number, for example, you want to remove read-only for volumes on disk 1, then you should enter "select disk 1". Step 4 Input "attribute disk" and press Enter. Now you can see whether the disk is read-only or not. Step 5 Type command "attribute disk clear readonly" and press Enter. The "Current Read-Only State" and "Read-only" will be set to No. Then you can try DiskPart to check whether the error is fixed. Step 1 Right-click Start button on the bottom-left corner and select Run. Type "regedit" in search box and press Enter key. Click "Yes" if you are asked by User Account control. 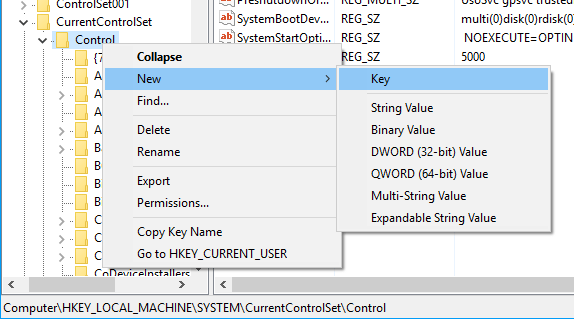 Step 2 Expand keys following the path: HKEY_LOCAL_MACHINE\SYSTEM\CurrentControlSet\Control\StorageDevicePolicies. 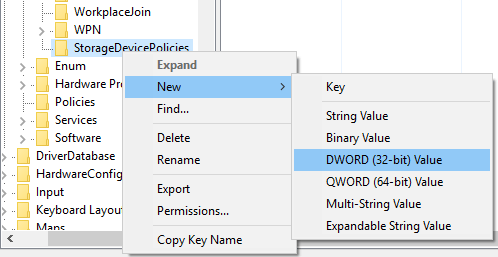 Step 4 Right-click StorageDevicePolicies and select "New" and "DWORD (32-bit) Value". Then rename it as "WriteProtect". Step 5 Right-click the newly created "WriteProtect" key and change the Value data to 0. Then click OK and close Registry Editor. I/O device error occurs when device becomes unable to perform an Input / Output actions such as reading or copying data. This error can happen to various devices, including hard drive, external hard drive, USB flash drive, CD-ROM, DVD, SD card, etc. When you perform DiskPart on a disk which might be damaged, you are like to get the error message: DiskPart has encountered an error: The request could not be performed because of an I/O device error. If you access the disk in Windows you probably get same error message with error code 0x8007045D or 2147943517. There is something wrong with device connection, such as bad cables, loose connection, USB ports insufficient power supply. The hardware is using an incompatible transfer mode or improper interface. The CD or DVD disk you are accessing is damaged or dirty. The storage device you are trying to use is damaged or defective. When you attempt to access data from a bad area, the error will appear. Operating system is trying to use a transfer mode which cannot be used by the device. Since loose hardware connection is a common case of I/O device error, you should make sure all cables are well and correctly connected. Step 1 If the error is caused by an external device such as external hard drive, you can connect the drive to another USB port on the computer. Step 2 If the device is connected via USB hub, then connect the drive directly to computer's USB port in case of insufficient power supply. Step 3 Replace the cable with a new one and reconnect storage device. Step 4 If you are an advanced computer use, you can change cables for internal hard drives for a desktops or change enclosure for external HDD. If you are casual user then seek help from professionals. If solutions above cannot resolve the I/O device error, connection is not likely the real case and you should continue with solution 2. If the transfer mode is configured incorrectly, Windows will not be able to transfer data among devices and computers. Thus the I/O device error might be fixed after changing to correct transfer mode. Step 1 Open Device Manager. 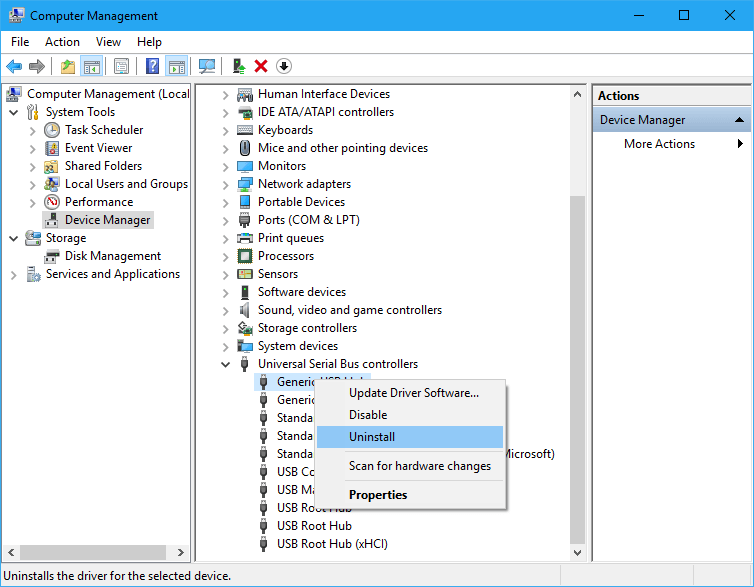 Right-click "This PC" and select Manage, then you can click Device Manager on the Computer Management window. Step 2 Expand "IDE ATA/ATAPI controller" and you can see one or more listings for IDE ATA/ATAPI channels. 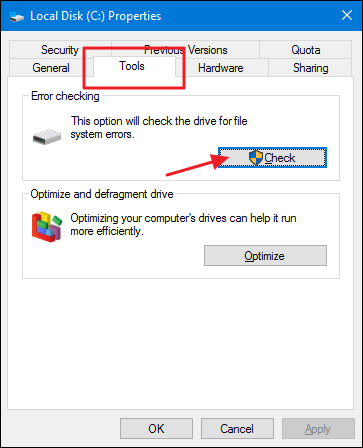 Step 3 Right-click the channel of the drive that causes I/O device error, select Properties and Advanced Settings tab. If you can't decide which IDE channel to select, you can choose the one tagged "Secondary IDE Channel"
Step 4 Select "PIO Only" option in the Transfer Mode box, and you can see the device (usually Device 0) throwing the error. Then click OK and close all windows. Step 5 Restart computer and test whether the error is removed. The incorrect parameter issue occurs when the file system on the partition is corrupted or the full volume encryption driver has been changed in Windows. CHKDSK is one of the useful Windows built-in utilities. Sometimes Check Disk can be a lifesaver, as it is able to fix volume errors like "the parameter is incorrect". Please note that, if the volume contains important files, you should backup data before running chkdsk in case of any accidents. Step 1 Open File Explore and right-click the drive which reports DiskPart encountered errors, then choose Properties. Step 2 Click Tools tab in the Properties window and click Check button. (For Windows 7 users, the button is called "Check Now"). Step 3 Windows may inform you that there is no need to scan this drive. You can click "Scan drive" to perform a manual scan. Step 4 Click Close button after the drive is successfully scanned. Step 1 Open Microsoft Support website and search for Hotfix. If the download is presented, then click the blue button "Hotfix Download Available". Step 2 Click "I Accept" button for "Agreement for Microsoft Service". Step 3 Select operating system version you are using, provide Email address and click "Request hotfix" button. Step 4 Sign in the email address and open Inbox to find out the downloading link. Step 5 Download hotfix and double-click the installer file. Then you can follow the on-screen instruction to install it. Restart computer after it is successfully installed. Then you can try DiskPart again to check whether the parameter error appears or not. 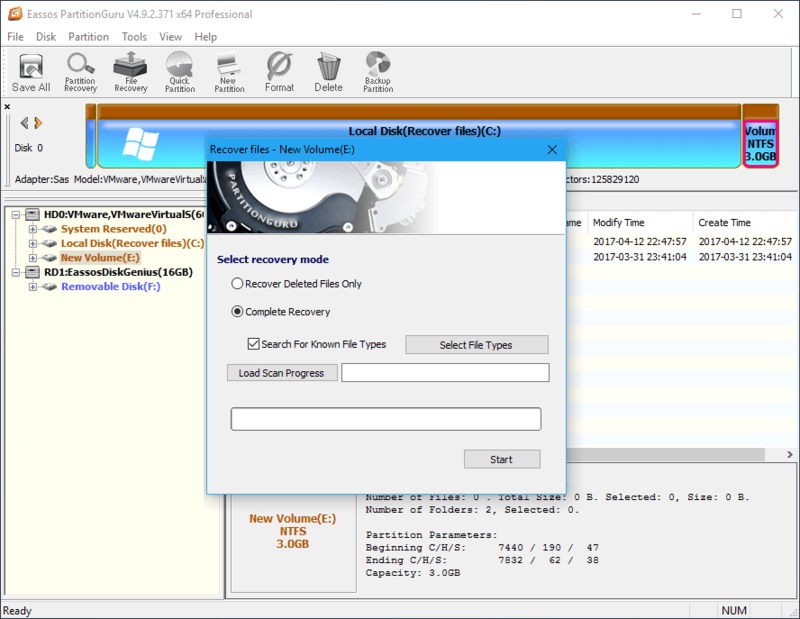 How to recover files and folders when partition's parameter is incorrect? Step 1 Launch PartitionGuru, partition manager and data recovery software, to get its main interface, then select the partition which reports "Drive is not accessible. The parameter is incorrect". Click "Files" tab and check whether your files are displayed directly. If not, move to step 2. 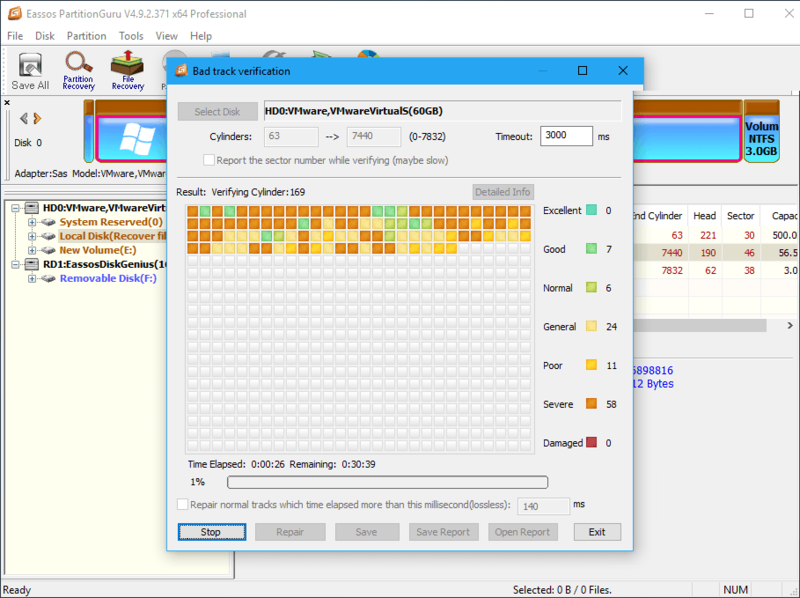 Step 2 Select the volume in question and click "Load Current Partition Intelligently" option. If the partition is not damaged that badly, data will be displayed with original directory structure directly. If have no luck, then go to next step. Step 3 Select the partition again, click "File Recovery" button and click "Start" button. PartitionGuru starts scanning the volume. Step 4 When scanning completes, you can view and preview recoverable. To get files successfully recovered, you need to copy them to another partition. This issue occurs if storage devices contain bad sectors. CHKDSK provides feature to verify bad sectors, but it is somewhat complicated. If you are not comfortable with Command Prompt, you can use PartitionGuru to check bad sectors for the drive. PartitionGuru is easier to use and it is able to repair bad sectors. What you should be aware is that bad sector repairing causes permanent damage to data, thus you should create a backup before performing any repairing actions. Step 1 Choose partition / disk you want to check bad sectors and select "Verify Or Repair Bad Sectors" under Disk menu. Step 2 Click "Start Verify" button and it starts scan bad sectors. Bad sectors will be marked as red block (damaged). Step 3 When the verification complete, you can click "Repair" button to repair bad sectors. DiskPart has encountered an error: The device is not ready. See the System Event Log for more information. 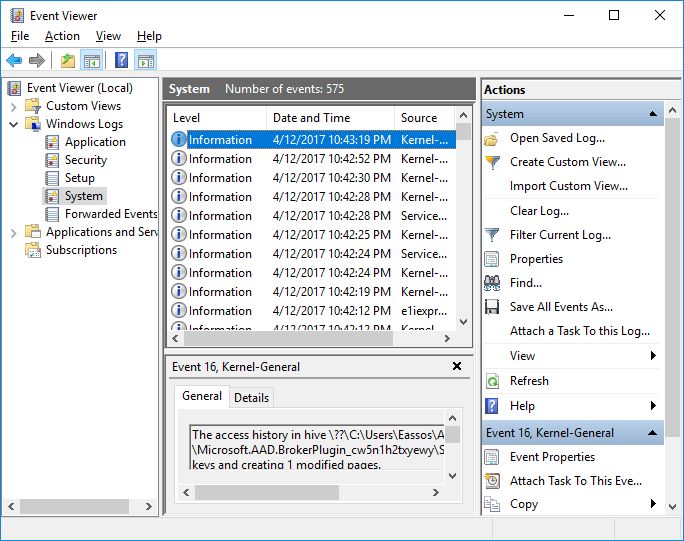 If you check event log entry you might get "The driver detected a controller error on \Device" or "VDS fails to write boot code on a disk during clean operation. Error code: 80070015@02070008"
There is something wrong with the storage controller on your mainboard or the disk itself has failed. If the "Device is not ready" error happens to USB disks, you can try this solution to fix it. Step 1 Open Device Manager again. Click Start button and enter "Device Manager" in search box and you can find and open it. Step 2 Browse the list to locate and expand "Universal Serial Bus controllers." Step 3 Right-click the first USB controller under "Universal Serial Bus controller" and click Uninstall. Then repeat this step until all USB controllers here are removed. Step 4 Restart computer and retry DiskPart to check whether it is working. Step 1 Right-click Start button and select Control Panel. Type "troubleshoot" in the search box and Troubleshooting will be displayed. Click it. Step 2 Click "Configure a device" under Hardware and Sound. If you are asked for confirmation or password, provide permission or password. 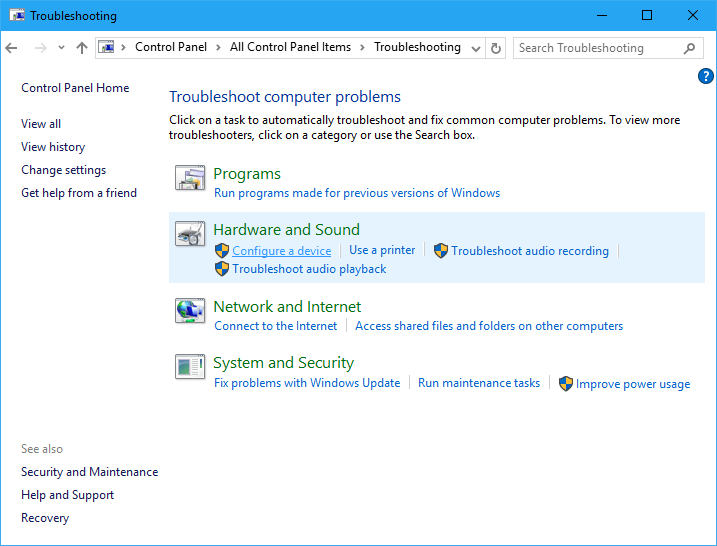 Step 3 The Hardware and Devices Troubleshooter comes up, and you can click "Next" button to check potential problems. Step 4 When scanning completes, it will list a report. If errors are found, choose the ones you want to fix and click "Next" button. The troubleshooter will try to fix errors. This article introduces 6 types of errors happens to DiskPart, including symptoms, causes and solutions. Hoping these solutions can help you a bit to troubleshoot DiskPart errors. Should you have any questions or better solutions, please feel free to contact us and share your ideas with all readers. "I want install windows 7 via command prompt on my pc. Through disk part I made a primary partition but it can not be format. The error is about event log. While I have no Windows on my pc how can I solve the problem?! please help :)"
"Can't seem to remove the read-only state from my USB flash drive. I already tried methods "Solution 1: Remove write protection using DiskPart" and "Solution 2: Remove read-only state in Registry Editor" and both failed me. I also tried the error checking tool from within the disk properties and that failed too. Does it mean that my flash drive is damaged without repair now?" ""diskpart has encountered an error : the semaphore timeout period has expired. see the system event log for more information."" "diskpart has encountered an error : the media in the drive may have changed. see the system event log for more information." "Just to add: Saw the same "Access denied" message as bullet #1. Instead of starting DiskPart from an elevated command prompt, if you find the diskpart.exe file (Win+S) and then right click, select "Run as Administratro", that fixed the issue here." "My Mobile Data Card 32 GB has encountered an error data error cyclic redundancy check. I am not able to fix this from Dispart CMD and many Partition sofware. Same massage appear after the format "